Love is a mix of feelings, attitudes, and actions towards someone or something that expresses deep affection. Love can give rise to things such as marriage, and can also be shown through things like dating, meeting with relatives, or simply connecting with an old friend. Furthermore, as we all experience, "Love" has a lot of positivity into it. Love has consequences for health and well-being. Joyful activities such as love activate areas in the brain responsible for emotion, attention, motivation and memory, and it may further lead to reduction of cortisol, which reduces stress. It is because of these benefits that this book is written. 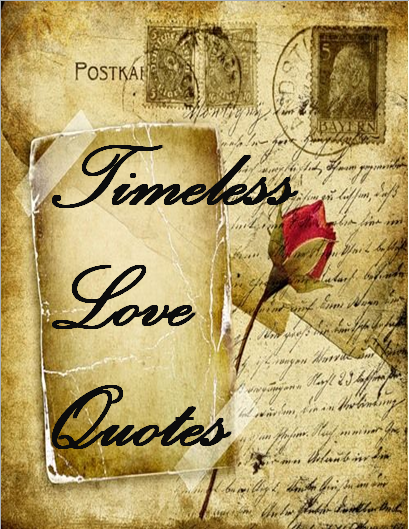 This book provides a compilation of 150 “Timeless Love Quotes” and is intended to enable the reader to be inspired to love, to share their love and to continue being in-love. I wish you all the very best and spread the love!